Our job is to keep your vehicle running; we will stand behind our quality of work 110%! You name it, we can fix it! We service any year, any make and any model, both foreign and domestic. Before any work is performed, the customer will always be contacted with an estimate for repairs (including both parts and labor) by one of our techs and/or an available sales representative (family member). All estimates are never final. If you are not completely satisfied with your estimate, we will work with you on any price to give you the best deal possible. We would not have "EXCELLENT WORK AT A FAIR PRICE" as our motto if we couldn't keep you 110% completely satisfied. 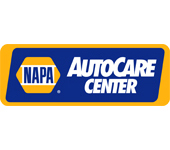 To keep your vehicle running properly at all times, we offer a number of services in the Port Charlotte, FL 33953 area that are carried out by our certified, expert auto service and repair technicians who have years of experience performing everything from oil changes to a complete engine overhaul.